There’s a picture somewhere of Burney Adams wearing a white suit when he dived head first into a pile of mud at Untermann Field in Newark. 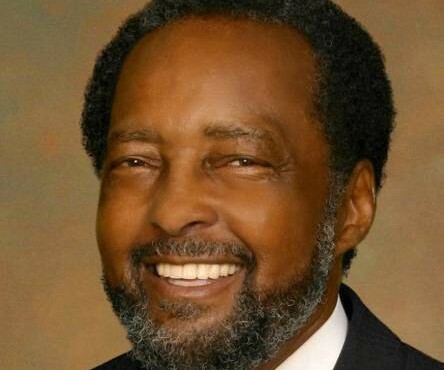 His dear friend, Donald Bradley, a former Newark South Ward councilman, hoped someone might have it for Adams’ funeral on Tuesday in Irvington. Adams was wildly unpredictable when making a point to the football players he coached for 38 years – 30 as head coach – at Weequahic High School in Newark. Friends, family and former players must do that now that he’s gone. Adams died last week, leaving indelible memories for loved ones who filled Christian Pentecostal Church to tell him goodbye. Adams, 81, wasn’t just a coach. He was a father figure and mentor with a stern, no-nonsense approach that turned boys into men. Adams embraced the role, dedicating his life to theirs. 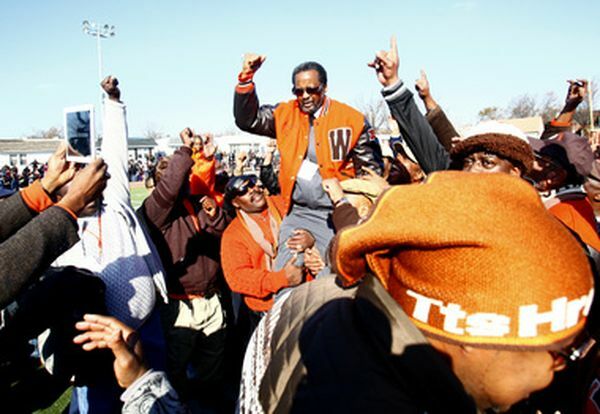 He exposed his players, and others, to opportunities outside of Newark when he started the Weequahic High School Fathers’ Club. They visited college campuses, the United States Naval Academy, congressional offices and any venue that gave his players possibilities. Sports was the tool Adams used to stress education — the ticket he knew his players would need when football ended. Marquis Porter, a baseball analyst for the Washington Nationals on the Mid-Atlantic Sports Network, who played football at Weequahic but not under Adams, said the coach’s influence on him was the same as if he had. “When you’re blessed to have coaches like this, it makes that transition to real life a lot easier,” Porter said. “It’s not often that we will have a transformational coach,” said Porter, telling mourners that Adams’ impact will live on in the players he touched. How could they not? More than 2,500 of them received an athletic scholarship because of him. Adams stayed on his players, even when they thought he should back off. Tommy Wiggins, of South Carolina, said his parents died in a fire, but Adams didn’t coddle him. He helped Wiggins with school work, an essay for which he won Youth of the Year with the Newark Boys and Girls Club, and a White House visit to meet President Gerald Ford. In school, Adams walked the halls and checked with his player’s teachers. On Fridays, there was a curfew before games, and he’d drive around the neighborhood to make no one was hanging out. Sometimes, he took the team to a hotel with money he raised to keep them off the street. “How many coaches do you know (that) will do that?” asked former Mayor Sharpe James. Adams saw their potential, not their flaws. Joe Hines wasn’t hardheaded. Adams told him he was persistent. That chip on his shoulder? Adams said it would be a terrible thing to waste. “With discipline he taught me to use it in a useful way,” said Hines, a retired major with the New Jersey State Police and current public safety director at Union County College. The careers don’t stop there for “Burney’s Boys.” Some are former professional athletes, others are in medicine and engineering, social work and education, military and entrepreneurship. Selvin White worked in the Clinton White House; Leon Baptiste owns his own solar power company that did electrical work on the Prudential Center in Newark. Loraine White made history when Adams hired her as the first certified, on-the-field female assistant coach in New Jersey. As his players moved on in life, Adams never forgot them. Donald Johnson, who has been a collegiate and NFL coach for 40 years, said Adams supported him during Super Bowl XLI when he was the defensive line coach for the Chicago Bears. Adams retired in 2002 and moved to Savannah, where he will be buried. Newark was never far from his thoughts, though. He came back often, and even returned three years ago to help the next generation of students. That dedication is one reason why the football field house bears his name. It was placed there seven years ago, during halftime at the Soul Bowl, the Thanksgiving game against Malcolm X Shabazz High School. Players shouted his name, then hoisted him onto their shoulders to carry him off the field. 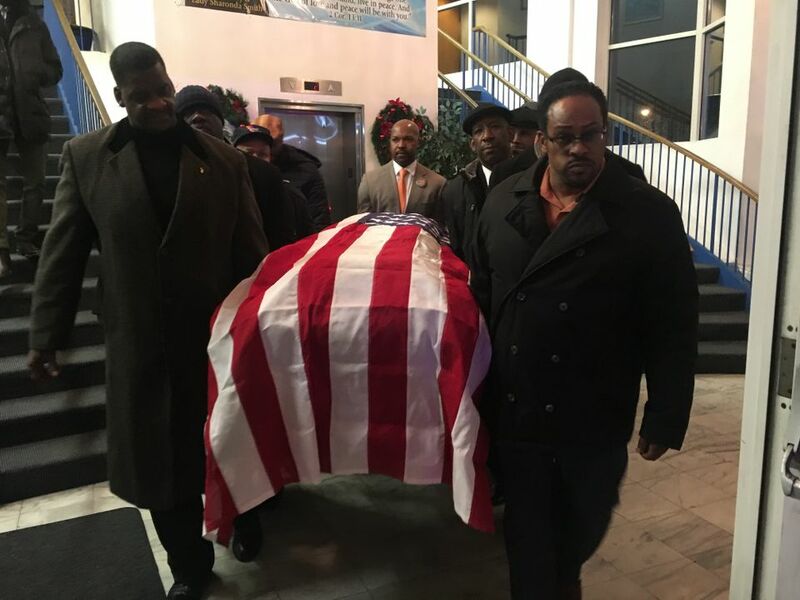 Ten of them lifted Adams again Tuesday night, but this time he lay in a casket they carried to the funeral hearse. It was draped with an American flag as the school’s fight song filled their hearts that Adams often led.